Ring direct for personal attention and best prices. Our Location is perfect for staying in Newquay. 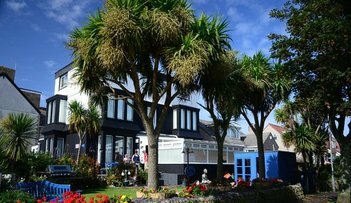 The Hepworth Bed & Breakfast, situated on a peaceful tree lined avenue just 500 yards from beautiful Tolcarne beach, close by lusty glaze. great western beach, with Newquay town center, Train station, buses all within 5 minutes away. Newquay Airport with its direct flights only 20 minutes away. Fine restaurants, bistros, local and plenty of choice, Newquay has a thriving nightlife. There is always plenty to see and do in and around Newquay. ​ At the Hepworth here in Newquay, our aim to be the best, running a first class b#b, providing the highest quality accommodation, we are proud of our reputation for a clean, comfortably and relaxed stay, best for value. known for making your stay memorable. THERE is No Charge for Our Breakfast. First class, Quality full English Breakfast, continental, and a wide choice in Breakfasts at the Hepworth Newquay, we are extremely proud to have achieved our Breakfast Award for the past eight, years, only the finest Quality local food, free-range. Our offer Hotel Standard Breakfast, always freshly cooked, prepared to order see our unique -MENU plus we cater for Vegetarian-celiac- vegan dietary needs with their own Menu, and we guarantee satisfaction at every breakfast. Come try our Evening Bar Menu all home cooked,great choice . Especially when you arrive, it maybe late,feeling to tired to go looking for meals, it is a good choice to enable you to unwind. All eight of our beautifully designed rooms/suites are highly sought after, Furnished to a high standard. Quality beds, Most are super king beds for added comfort and a great nights sleep. Fully En-suite , Powerful showers. 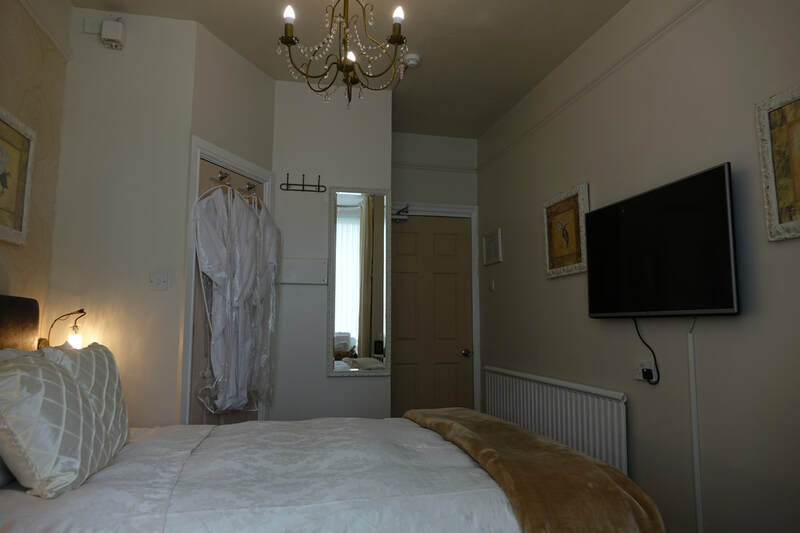 Dressing gown and slippers in all rooms, all the little touches you would expect from a major hotel, we indeed provide so much more. Value, personal service, with a home from home feeling, enjoy a relaxed, cozy and informal atmosphere, while staying at a b&b. ​​Hepworth inspires to hotel standard throughout . Hepworth designed for Relaxing our spacious Guest Lounge ​to chill, our American Themed One 4 the Road - bar, cocktails and champagne. Patios in our garden, relaxing for day and evening, enjoyable with a warm heater , blanket to snuggle. New for this with year our summer lounge in our beautiful garden. Hepworth Newquay indeed offers value for money for our discerning guests, with guests returning year after year. Check 0ur great reviews.